Building Information Modelling (BIM) gets used to describe everything from 3D models to digitised architectural plans. However, BIM is truly defined by its rooting in database storage and collaborative working rather than graphical representations of data, in addition to the inclusion of functional and cost information within design plans. This approach to 3D modelling and data storage streamlines workflows, improves the accessibility of architectural and structural information and provides a flexible way to edit plans. The use of database storage as a definitional requirement for ‘BIM’ is debated. From a UK regulatory perspective, this is considered BIM Level 3 and above — although these categories still remain partially undefined. BIM Level 1 and 2 simply require some sort of digital file sharing capability and the inclusion of functional characteristics within design data. BIM Level 2 requires export to common file formats and the creation of a ‘collaborative data environment’ (CDE). However, within a CDE, files remain separate, denying the benefits of ‘single-source-of-truth’ design and development. 3D models and digital plans are, by themselves, useful design and construction aids. However, storing design information as a database is the source of many of the significant benefits identified as being delivered by BIM. Although some of these attributes will be shared by other forms of 3D modelling and computer-aided designs (CADs), this article will discuss the future of digital collaborative working in the industry using ‘single-source-of-truth’ database-rooted architectural designs. Contractors have access to aerial point clouds of existing infrastructure and terrestrial scans of topography. This information can be fed into your BIM, forming the basis of your subsequent designs. BIM software is a great tool for storing and accessing this information. The fact that you can build your designs on top of that data is even better. Storing information in a central database allows teams to access and edit that information easily. Architects are able to access graphical drafts. Structural engineers are able to work with framing and bracing diagrams. Builders can access these same formats along with isometric views of building geometry. But, rather than each of these files being a separate information file, they are all simply presentations of the same dataset. This is critical because it means that any changes made to one file will be automatically propagated across others. This decreases errors and creates a more collaborative working environment. The need to cross-check files for errors is removed because everyone is fundamentally working from the same dataset. 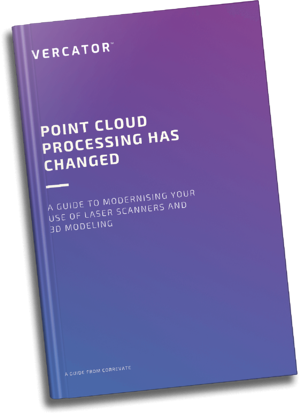 Read more on how why you should be using point cloud 3D imaging to improve your project management here. The central storage of information in a database also greatly eases the development of documentation such as schedules, colour fill diagrams, drawings and 3D models. These are essentially produced as the design phase is being undertaken. They can simply be ‘spun-up’ from the database and do not require any additional manual processes to be created. The veracity of these files can also be automatically cross-checked against the central database, avoid further manual processes. BIM provides an easy and stable platform from which you can implement a growing number of simulation tools that allow for experimentation with designs. This includes things as simple as painting walls to adding interior features or simulating sunlight at different times of the day. Structural physics programs can also be used to test the viability of plans or the impact of an earthquake, etc. This can aid creativity and allows for the iterative testing of plans to achieve best practice designs, cheaper construction models and efficient use of materials. BIM stores all of your information in one place. This ensures that everyone is working from the same plan. You still need to make sure that this plan is accurate, but when using BIM, you no longer need to be concerned with making sure that your plans align. This removes the need to undertake constant cross-checks and evaluations. 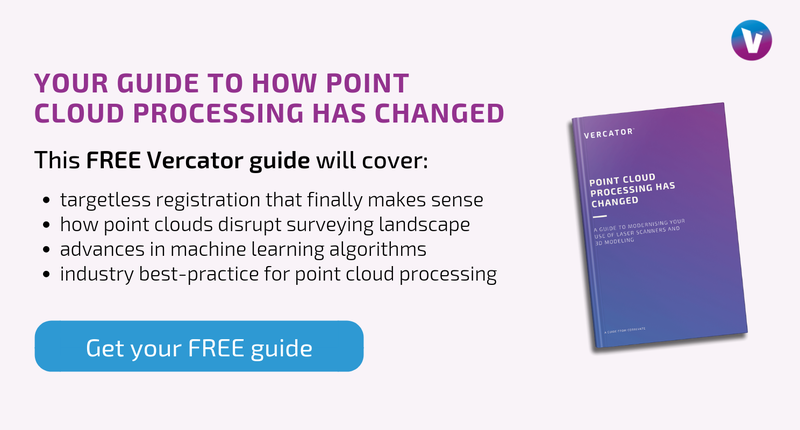 Critically, this single source of truth can help to prevent major mistakes that can plague more traditional approaches to construction, thus helping to de-risk projects. You can use automated tools to perform clash detection between different elements of building functionality that are addressed by different building and design teams such as electrical conduits, ductwork and plumbing. BIM schematics also ensure a perfect fit between elements that are manufactured off-site, making it easier to avoid modifications on location. BIM makes it easier to create sequential models for each phase of construction. These models are an essential requirement of traditional architectural planning, but one that is improved by utilising BIM. Beyond that, it allows for the creation of more intuitive documentation that includes more detail and can be easily viewed in context with a wider view of the project. BIM software allows you to create detailed models for each stage of the project. These can be complete with animations, coordination notes and a predictable path to the desired outcome. They can be viewed sequentially and in the context of the final design. A key benefit of BIM is its versatility. A BIM schematic allows a user to view any piece of information about a project through any number of filters. You might start by viewing an exterior end-product rendering, then zoom in to inspect structural supports, then look at the plumbing and electrical work in isolation. Builders can simply look at the construction schedule for the west corner of the second floor. Designers can look at that room as an end result and see how sunlight impacts visibility at different times of the day using visualisation software. How you engage with the modelling is up to you. That flexibility allows architects, designers and builders much more control than before. The dynamic planning and visualisation details offered by BIM aids designers, engineers and builders to do their jobs. These capabilities also allow project ideas to be easily and immersively shared with clients. 3D models have become key to pitching a project and design plans. BIM helps you do that. It even goes one step further by allowing you to showcase any of the physical assets of a site on their own and in the context of a design. It also provides a great way to detail costs and how they are justified. It enables the simpler understanding of how the building will function when finished using animations, embedded details and visualisation software. Theoretically, you could hook up a client to VR (virtual reality) goggles and let them explore your proposed design themselves. The amount of versatility offered by BIM for presenting projects is only topped by the number of options it provides to architects, engineers and builders themselves. Once a project is finished, BIM files continue to add value. They can be passed on to building managers to help them acquaint themselves with the structure. They aid in maintenance by providing a central database of all infrastructure and functional capabilities. They improve cost management by providing information about how each asset contributes to ongoing costs. The level of detail and visibility they offer even helps direct repair teams in the event of a crisis. A properly constructed BIM schematic will continue to provide benefits for years to come. BIM has taken 3D modelling and collapsed all of its benefits into a single and editable database. This allows an iterative design process to be undertaken more simply and accurately than was previously imaginable with graphics-oriented computer-aided design. This is reducing costs, improving designs and increasing the speed at which construction can be undertaken. It has removed the need to cross-check files and allows for documentation and 3D models to be produced concurrently with designs. BIM improves workflows, creates a more collaborative process, delivering tremendous benefits to designers, construction teams and those looking to pitch projects. It then helps building managers maintain facilities after construction. 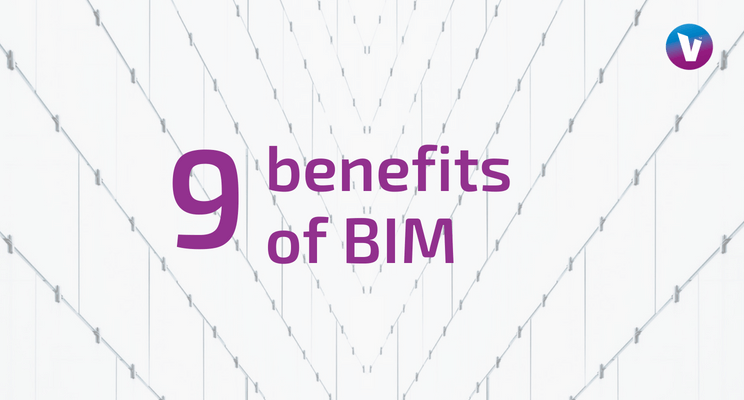 It is hard to underestimate the benefits of BIM.